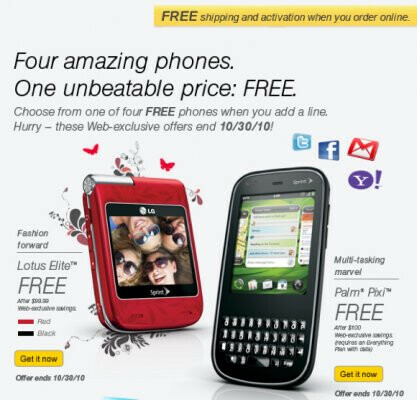 Yeah we all know that Sprint did justice to the Palm Pixi by finally setting its price to free, but as with most things they offer online, it required a mail-in-rebate of some sort to get its price to where it needed to be. However, it appears as though Sprint is literally selling the handset for free by transforming that usual $100 mail-in-rebate attached to it, to something in the form of an online instant discount. You heard that right, you don't have to dish out any payment when you purchase the webOS powered smartphone through Sprint's web site – which is great, but it's something that other online retailers have been doing for some time now. If you find this limited promotion satisfying enough, you'd better act quick because that instant discount won't last forever – it's set to expire October 30th.